If you want me to guess, the Running Core gimmick is somewhat akin to Trygle, the CWD like Orthros and the plastic frame of the AR is remarkably similar to Auto-Change Balancer. The AR as a whole looks increadibly familiar but I just can't place it. Well I was more referring to the AR only, haha should have said that. But the RC and CWD are very good guesses albeit not intentional. No the AR isn't Auto Change Balancer, I'll reveal it once it's over unless someone can guess it. I really gotta say it was inspired by Dranzer V.
(Jul. 30, 2015 1:18 AM)flame0251 Wrote: I really gotta say it was inspired by Dranzer V.
Okay I'll try not turn this into a forum game so PM me if you want to guess. 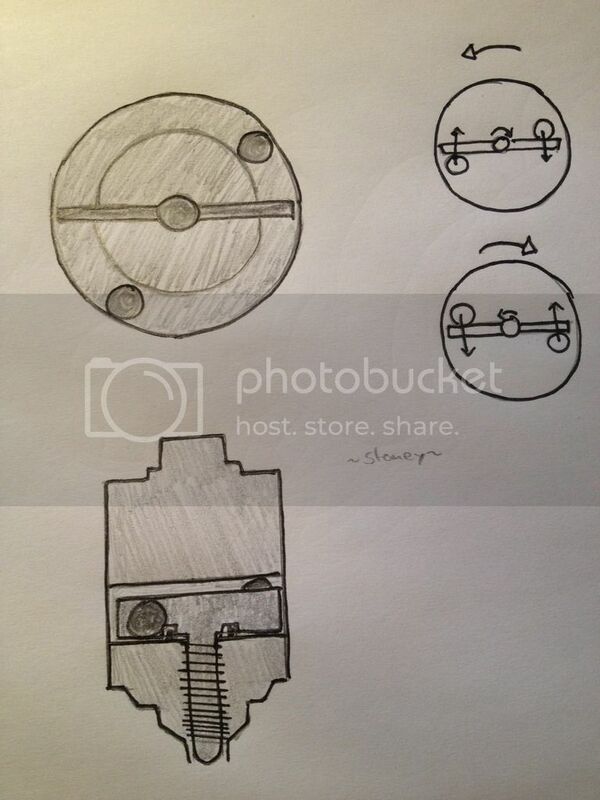 BIT PROTECTOR: same as hms beyblades but hollow from between so that flywheel axle can come in contact with launcher. 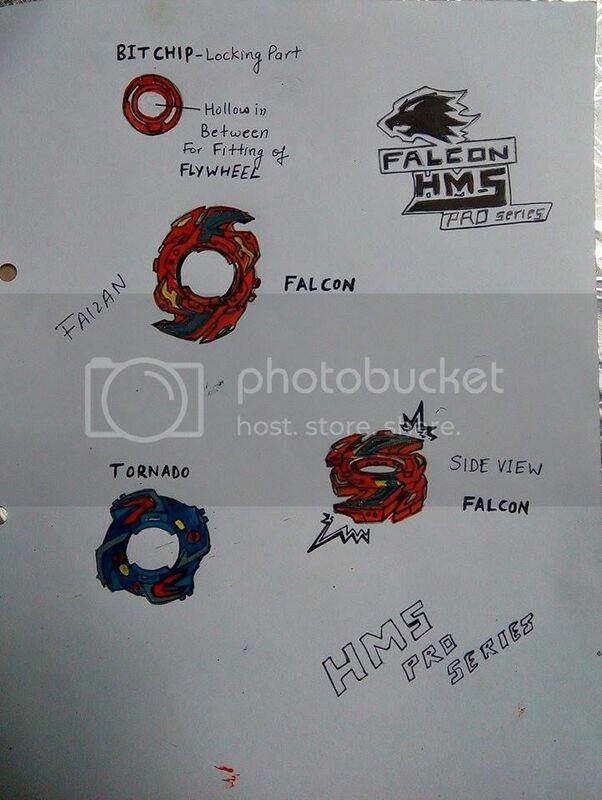 ATTACK RING: unlike other HMS beys which have attack ring attached to upper metal disk.....but here it is totally interchangeable so that we get better customisation options. 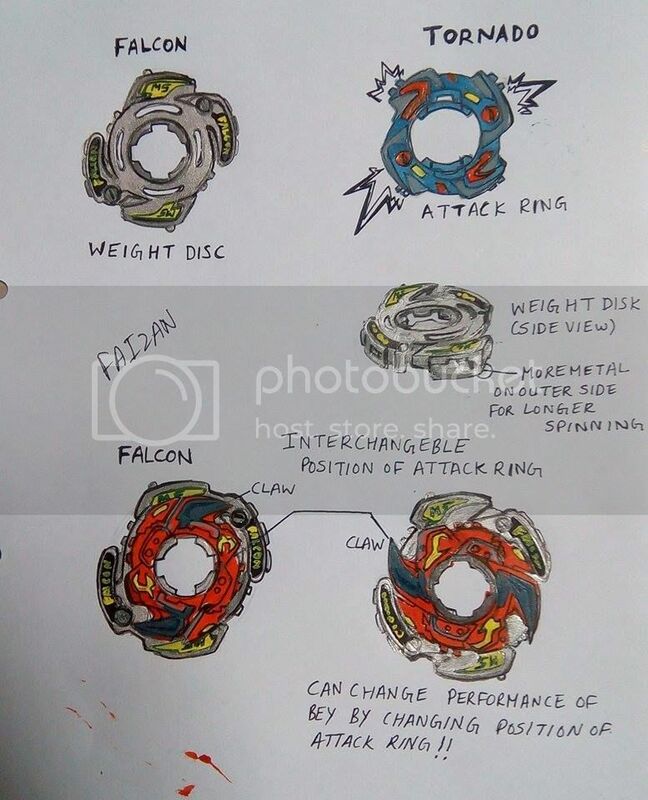 UPPER METAL DISC: it is same as hms beys but little more thick at corners so that great centrifugal force act on it due to heavy weight and ultimately giving more stamina to BEYBLADE. RUNNING CORE: unlike other HMS BEYS which have usually solid core.......here core is hollow from inside and is symmetrically divided into two peices in which resides the HEAVY METAL WHEEL (FLYWHEEL) whose upper axle goes directly till bit protector filling that hollow space in bit protector and helps to spin flywheel through launcher separately. 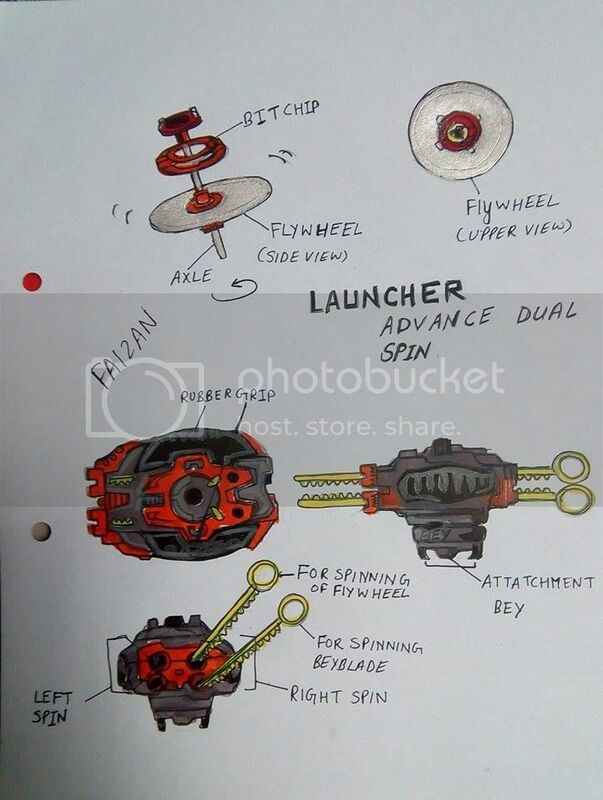 ADVANCE DUAL LAUNCHER: usually hms launchers have two holes for inserting ripcord (left and right) ..... here we have two holes on each side (total 4 holes ....2 on each side).... so that we can spin FLYWHEEL with upper ripcord and lower ripcord is used to spin BEYBLADE TOP... NOTE: first upper ricord should be ripped to spin flywheel then lower ripcord to spin bey top. Hum dude, you totally messed up the links haha. Damn! That sure is going to give my design a run for my money. And just when I thought I could win a face. 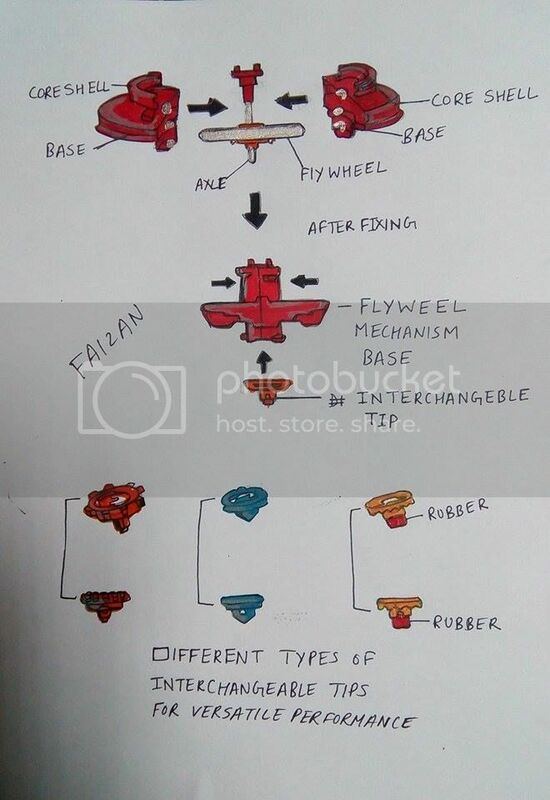 Unless the flywheel ripcord spins the wheel from above or below. I don't really get it, but maybe someone else does ^^; It's a great looking design either way, cool to see someone try to imagine what a next generation of HMS could be like. I think it's basically having a free spinning wheel inside a base that borrows the spin energy from the actual beyblade? 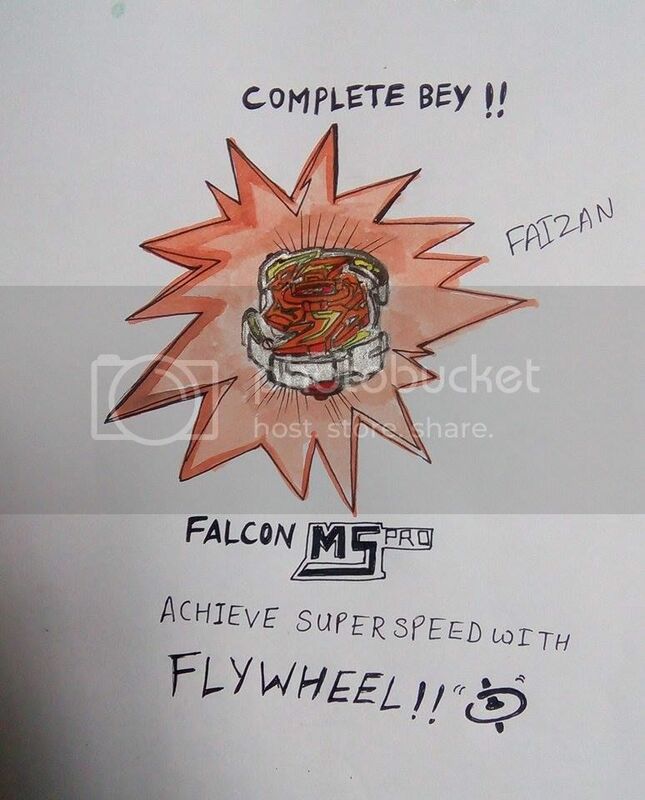 @jinbee ..... actually yes its free wheel but when its attache to the launcher the grooves grasp the axle of flywheel just like the outer grooves of launcher holds up the grooves of bit protector ...... so by ths way upper ripcord comes in contact with flywheel throug the upper gear present in launcher thus spinning the FLYWHEEL faster than the whole blade to attain super speed..
Yo, I´ll appear for a short time, just to post an entry (can´t miss that chance XD ). 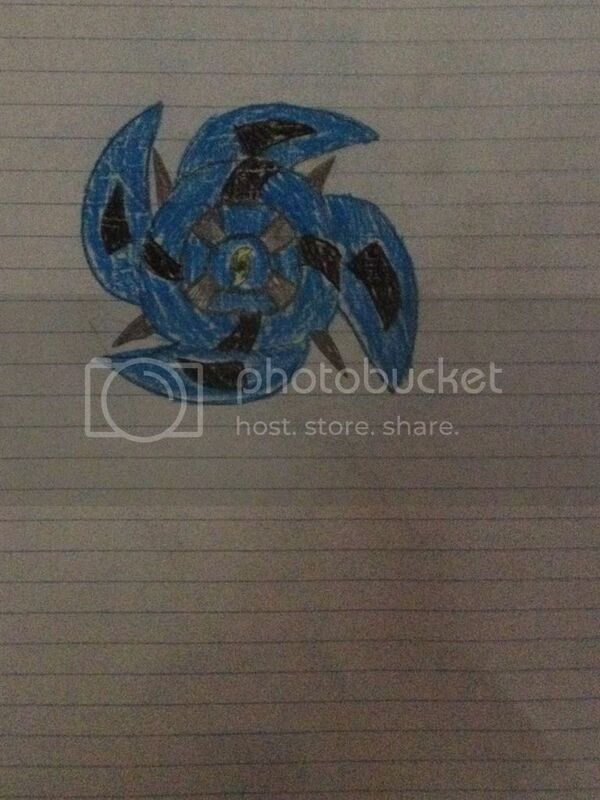 AR: Shuriken Circle - Attacks strongly when left-spinning, decent defence while right-spinning. WD: CWD Circle Protector - Just a normal CWD with a completely plain plastic ring around it. Since all the attack force comes from the AR it´s rather unspectacular so that it doesn´t get in the way and rather protects the beyblade. Mid-weight. RC: torque changer RC - This is the real gimmick of the beyblade: Theres a small cell inside the RC with two quite heavy metal balls. When the bey spins left, due to their inertia the balls are flying against the small panels at the upper end of the tip and turn it clockwise. Because of the screw thread this makes the actual round tip disappear into the RC leaving only the flat fringe for spinning. Fitting to the AR the RC is also in attack mode now. When the bey rotates right, the balls are pushing the panels the other way round, the round tip comes out and it´s in defence mode. My topic was obviously ninja, because that bey can both attack and defence like ninjas, who must be adaptive to all kinds of situations. And with that I go underground again. See ya! ~Stoney~ that's really good, I actually wanted to use a Gravity Ball orbiting gimmick as well originally. Bit Protector (Shining Blast Emblem) - Light blue in color. The sticker in the center is also light blue and bears the emblem of a barred spiral galaxy in yellow with a supermassive black hole in black at the center. 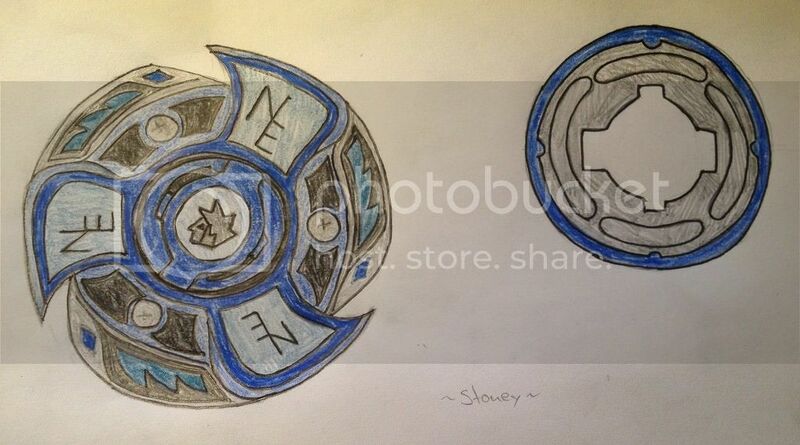 Attack Ring (Quasar Claw) - The Attack Ring of this Beyblade is also light blue in color. It features four curved protrusions a little over an inch and a half in length and about a quarter of an inch in width at the widest point. These protrusions are designed to look like the spiral arms of a galaxy. In the center of each protrusion, there is a black sticker in the same shape as the protrusion but much smaller. There are also curved black stickers in a warped semicircle shape located on the inner part of the Attack Ring at the base of the four protrusions. 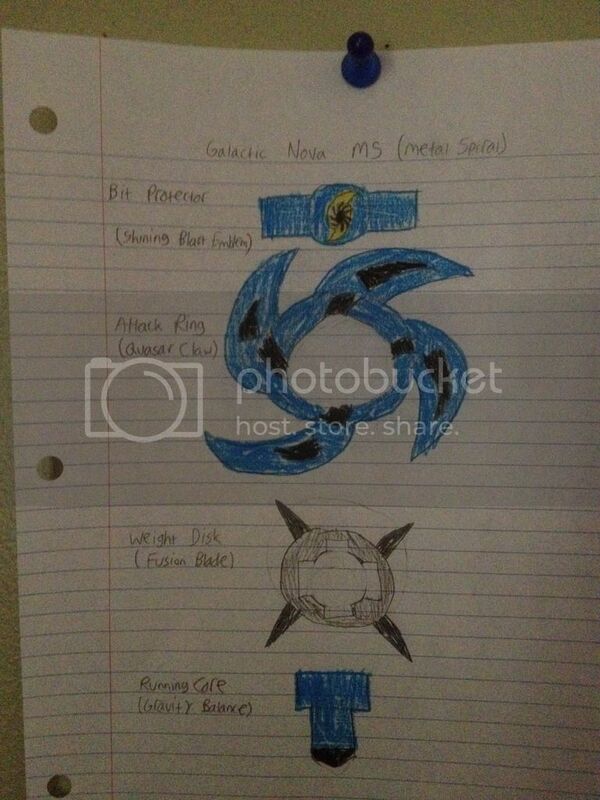 This AR is designed very much like that of the older Beyblade Bistool and is meant to work in a similar way. However, because the protrusions are larger, a somewhat different shape, and have more space between them, this AR may not be as effective as the one it is based on. Weight Disk (Fusion Blade) - This WD is a normal Weight Disk for the most part. It is average in terms of weight and overall shape except for one feature. There are triangular metal protrusions sticking out from the WD in an "X" shape. When the Beyblade is fully assembled, these stick out between the "spiral arm" protrusions on the AR. However, these metal protrusions serve no purpose other than adding a little weight to the WD and looking cool. Running Core (Gravity Balance) - This RC is based off the WD Tip from MFB. It is also just about as tall as the average 230 Track from MFB, helping to add some height to this Beyblade. 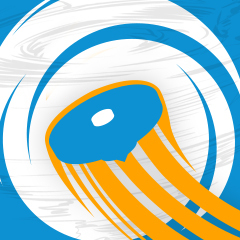 Overall, the RC is meant to keep the Beyblade stable, even when taking hard hits, and keeping it spinning longer after it begins to lose speed. Note that any edits made were due to a problem with my spoiler tags. Hey, we have been busy but this contest is closed; stay tuned for the results !